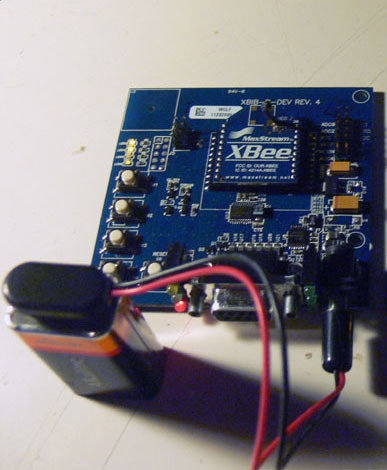 The XBee module has an odd connector. 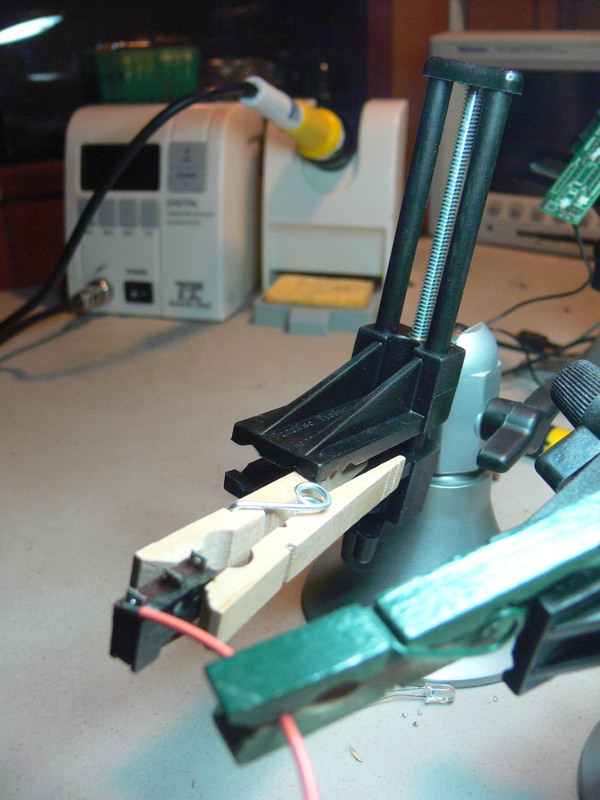 It’s 20 pins in two widely-space rows, with 2mm spacing. 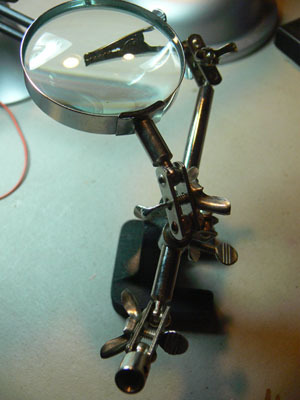 Nice and efficient, but doesn’t fit into my gridlike 10th inch world view. But if you’re just dinking around, it’s nice to have it fit into that 10th inch protoboard world. 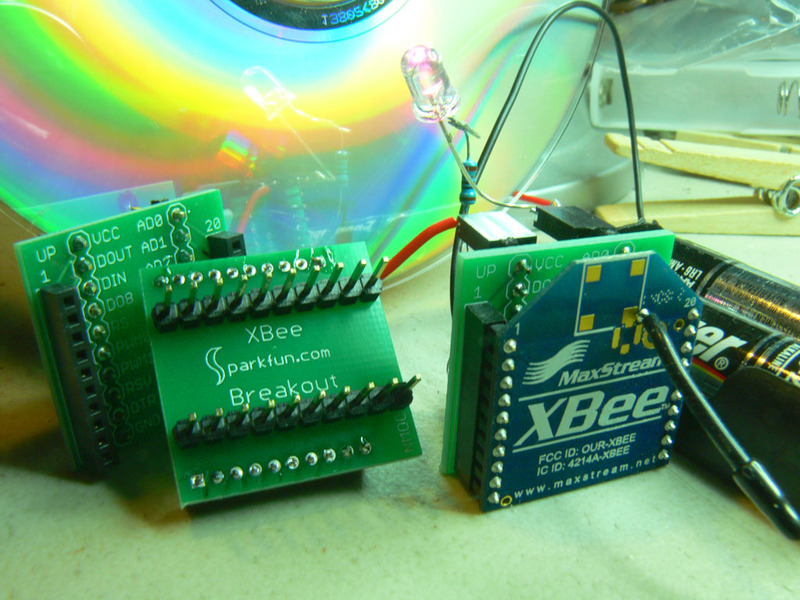 Here’s an XBee module connected to 3v, and a resistor, and an LED, and nothing else. 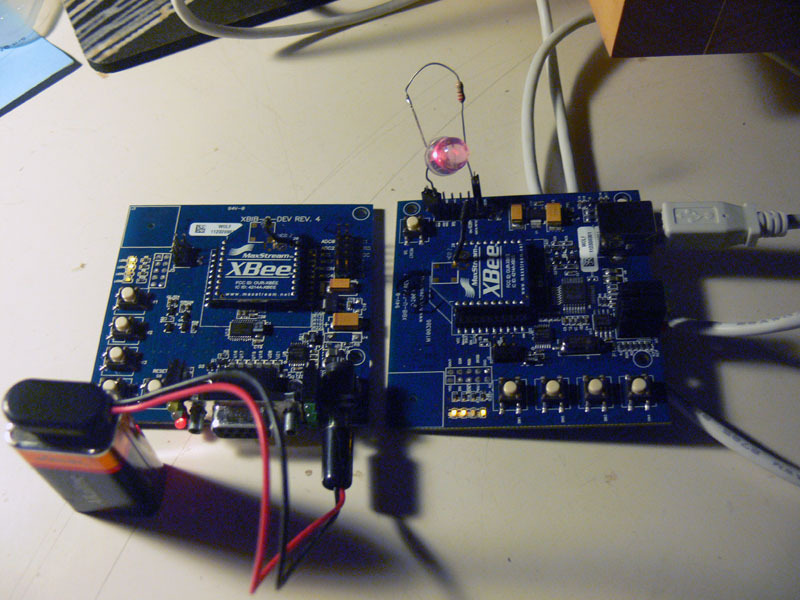 Boots into receive-mode, and the led blinks in response to a button on a second module. Also, bonus points to Sparkfun for shipping my whole order in a single heatsealed baggie in a very small cardboard box by US mail. Valuable service!